Formstack Alternative you Want to Pocket in a Jiffy! Your Forms can't get any interesting? Switch to the best Formstack Alternative! Looking out for a Formstack Alternative that ticks all the boxes in your checklist? You can heave a sigh of relief as you have landed at the right stop! We have elucidated few points that may interest you to conclude why SurveySparrow is the best Formstack alternative you wanted! 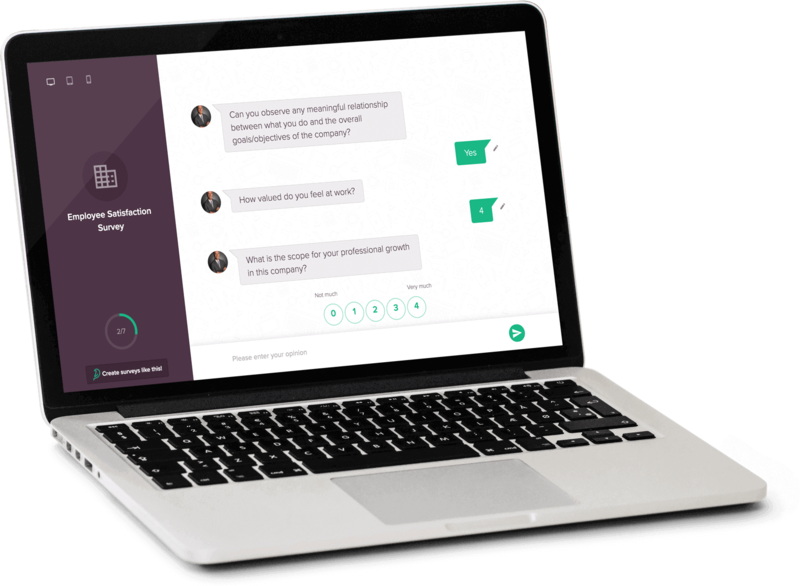 Goodbye boring forms, Hello survey chats! How thrilled would you be if you are to find a stack of forms diligently awaiting you to be filled? Well, the answer would be a frown accompanied with a “why?”. If this is your reaction, you can expect the same from your audience as well then. So here’s something to brighten things up. What if your survey asked questions alright, but in a different way? Just like any messaging app we use in our daily lives? 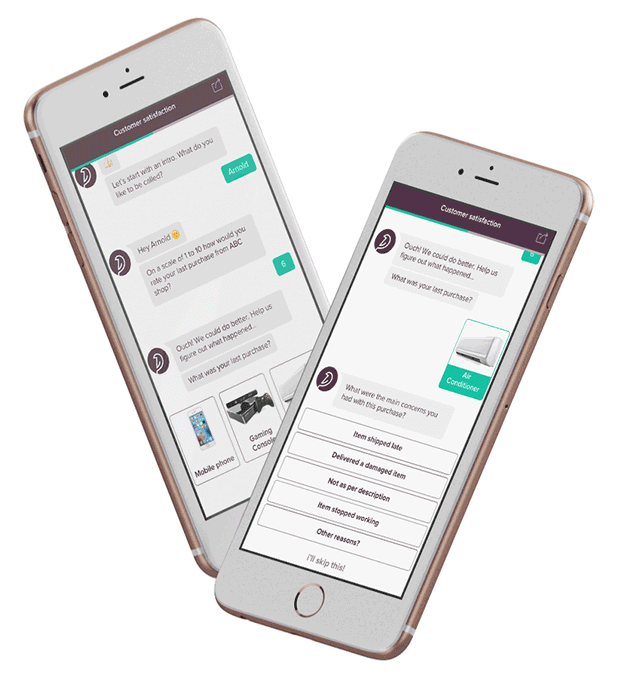 SurveySparrow offers you a survey experience just like that. 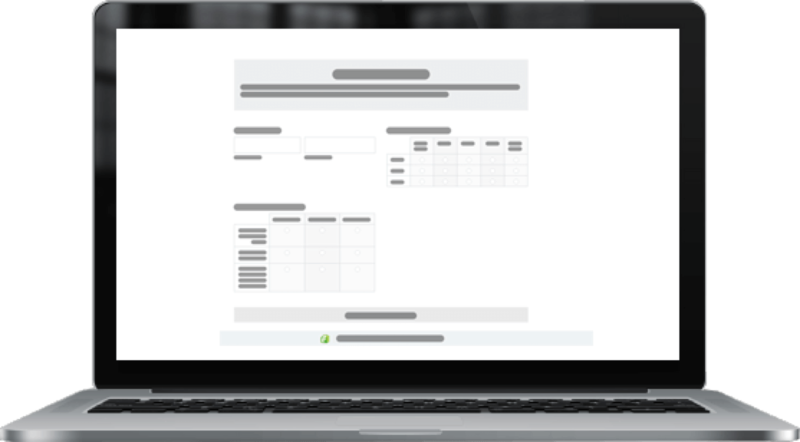 There is no more tedious form-filling anymore, only conversations you can engage your customers in. And the best part - you would find more accurate data in hand, along with more amount of data! When it comes to distributing a survey, the first and foremost option that comes to the mind would be through email. Not everyone may be active on Social Media, so emails promise more responses. 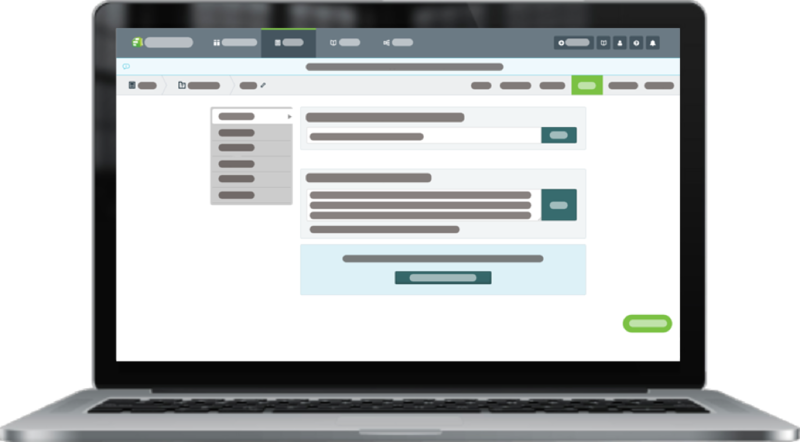 Formstack facilitates sending web links of your survey to your recipients via emails. 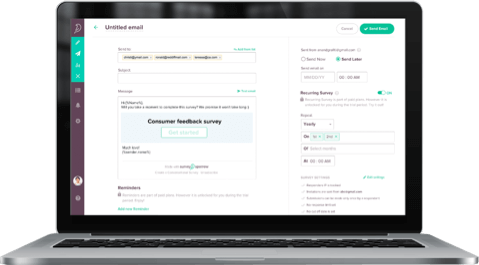 On the contrary, SurveySparrow sends a well-drawn out email template for your audience with the additional option of including the very first survey question alongside. The best is for the last; a unique link is sent to each person you send the email to. You can track individual responses and perform analysis on the dashboard. Don’t spend time and effort in sending out the same surveys over and over again. The recurring survey feature automates sending surveys on the day, date and time you decide. All you need to do is set the survey settings, and you are good to go! With Formstack, it is creating surveys from scratch every single time. Wouldn’t you want to spend your time more productively? So switch over and gather feedback to expand your growth curve continually! If you try to push a door that says “PULL,” no matter how hard you try, it’s an utter waste. Similarly, when you send out surveys in a channel which offers you no visibility nor fetches you any responses, the whole process is futile! But what if you could track which channel, be it social media or email, has given your survey proper exposure? It makes sense for you to invest more in those directions. 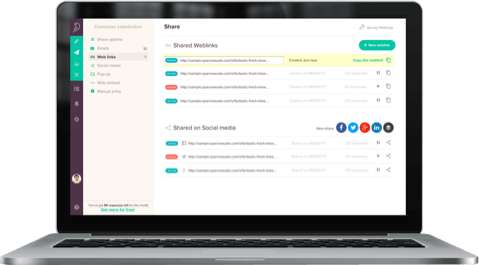 Unlike Formstack, SurveySparrow lets you create as many unique web links as you need to share across various platforms. Why make do with just a single link when you can track, analyze and hit a home run with multiple unique links? Who would want to settle for meager feature while emptying your wallet in the process? We have tabulated the prices of Formstack and SurveySparrow to help you make your decision swift! All our customers are dear to us. So we have made our pricing plans flexible to accomodate any business - big or small, fortune 500 or a blooming startup, B2B or B2C! 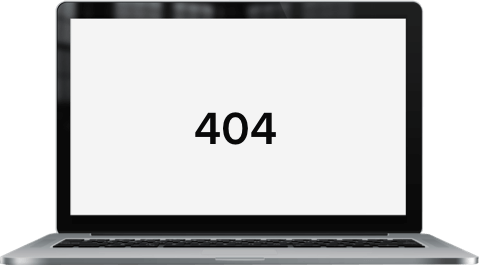 Wouldn’t you agree that you have come across the Formstack Alternative you have been looking for all along? So why wait-up? Sign-Up right away and be a part of us. We’ll help you through and through to create magic with your surveys!